Macka B was one of Britain’s most influential dancehall toasters, pushing the music back toward a Rastafarian political consciousness. His rough, gravelly vocals gave him an instantly identifiable sound, and his production — chiefly handled by Mad Professor — updated dub reggae techniques for the dancehall age, proving that the two sounds weren’t mutually exclusive. 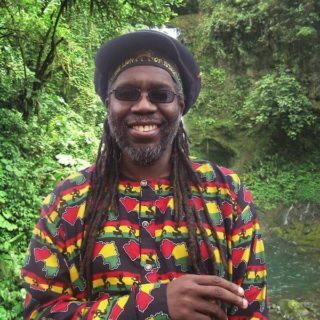 Macka B was one of Britain’s most influential dancehall toasters, pushing the music back toward a Rastafarian political consciousness. His rough, gravelly vocals gave him an instantly identifiable sound, and his production — chiefly handled by Mad Professor — updated dub reggae techniques for the dancehall age, proving that the two sounds weren’t mutually exclusive. Although the vast majority of Macka B’s material was devoted to spiritual and social messages, he did lighten the mood with occasional humorous novelty material. He shunned any aspirations for a commercial crossover, however, staying true to the sound and spirit of reggae’s roots. His 1986 album Sign of the Times still remains a milestone of British reggae, and he continued to record for Mad Professor’s Ariwa label into the new millennium. 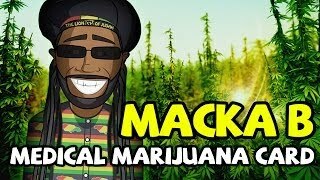 Macka B was born Christopher MacFarlane in the West Midlands town of Wolverhampton, England, near Birmingham. As a youth, he played violin and sang in the school choir, but reggae remained his first musical love. He studied engineering and served an apprenticeship, but company factory closures resulted in his being laid off. Instead, he worked on honing his toasting skills, influenced by early reggae DJs like U-Roy, I-Roy, Big Youth, and especially Prince Far I. He started a sound system called Exodus with several friends, and also converted to Rastafarianism. In 1982, he made a trip to Jamaica to take in the exploding dancehall scene, and returned to England with a new commitment to his craft. The next year, he won a competition for aspiring DJs, which led to several radio appearances and a gig with a band called Pre-Wax; their single “Maggie’s Letter” was a local hit. 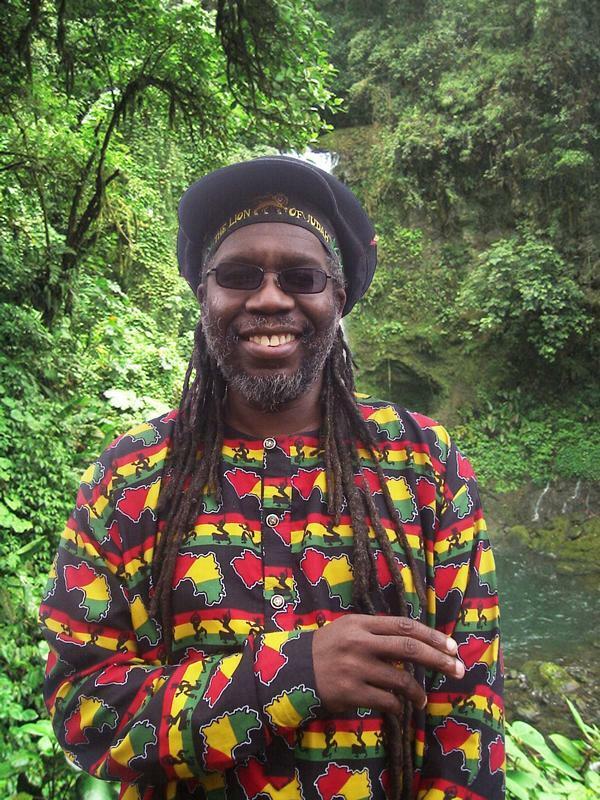 Macka B also performed regularly for local sound systems, particularly Wassifa; a tape of one Wassifa sound-system battle found its way to the London-based Fashion Records, who gave him the chance to make his first solo record. “Bible Reader” was released in 1985, and did respectably well on the national reggae singles chart. Macka B subsequently signed with Mad Professor’s Ariwa label, and issued his debut album, Sign of the Times, in 1986. An immediate hit among British reggae fans, it went on to top the reggae album charts; it was even hailed as a masterpiece in some quarters, both for its imaginative production and for the vocalist’s nimble rhymes and hard-hitting social commentary. A series of similar and generally consistent albums followed, starting with 1987’s We’ve Had Enough. 1988’s Looks Are Deceiving spawned the single “Unemployment Blues”; also that year, Macka B traveled to Jamaica for his first recording session there, which resulted in the tracks “Love It in Jamaica” and “Slow Down Driver” under producer Black Scorpio. Returning to England for 1989’s Buppie Culture, he scored a huge hit with “Dread a Who She Love,” a duet with female singer Kofi that topped the British reggae singles chart. He duplicated the feat with “Proud of Mandela,” a post-apartheid celebration that appeared on 1990’s Natural Suntan. His prolific output continued apace with 1991’s Peace Cup and 1992’s Jamaica, No Problem?, which earned him Best Male DJ awards in Britain both years, and 1993’s live set Roots Ragga, an accurate description of his sound by that point. 1994’s Here Comes Trouble gave Macka B one of his biggest hits with the internationally popular “Squeeze Me,” which was hugely successful in Hawaii of all places. The 1995 follow-up, Discrimination, was a strong set, and it was succeeded by Hold On to Your Culture and Suspicious. 1999’s semicompilation Roots & Culture mixed some of Macka B’s greatest hits with previously unreleased material. It was followed by a new studio set, Global Messenger, in 2000. A duo that has transformed the entire Jazz, Funk, R&B and Hip-Hop community! A ninety minute concert that features FOUR of the most iconic stars of Andrew Lloyd Webber’s Tony Award Winning Broadway Musical, THE PHANTOM OF THE OPERA. No film has captured the hearts of a generation like Dirty Dancing. Relive the passion, indulge in the romance and celebrate the greatest movie soundtrack of all time and the timeless characters. Jegyek csak a Broadway jegyirodákban, az Interticket országos hálózatában, és a jegy.hu oldalon kaphatóak. A lenyűgöző előadás egyaránt mélyen maradandó élmény nyújt minden néző számára, a kisgyermekektől az idősebb nemzedékekig. Az előadásban több mint 120 szereplő játszik és közreműködnek az egri vitézlő iskola hagyományőrző vitézei, táncosok, vitézek, várnép.